Make sure bacteria doesn’t have a chance to colonize by brushing frequently – at least twice a day for at least two minutes. Brushing after meals is good too, just don’t over brush or brush too hard. It can damage your gums and erode your enamel. Keeping your regularly scheduled cleanings and checkups at our Austin dental office is very important too. Drink plenty of water to keep your mouth rinsed,moist, and to increase saliva production. Also try chewing Xylitol gum and sucking Xylitol mints. Xylitol prevents bacteria from sticking to your teeth and creates a neutral pH level in your mouth. If you have someone you have been thinking of smooching, call us and schedule a cleaning at our dental office in Austin. I’m always accepting new patients from Austin, Westlake, and Cedar Park. By now, I’m fairly certain that most of the patients at our Austin dental office have heard about the connection between the health of your gums and the health of your heart. So what’s new? One of the most recent – also one of the largest – studies so far in this field indicates that poor oral health could be an even more important predictor of a cardiovascular episode than traditional risk factors. It means that it is even more important than ever to keep up with your check ups and cleanings with your dentist in Austin. Preventing oral infection is so much better than treating it. Once the infection starts, the health risks begin as well. 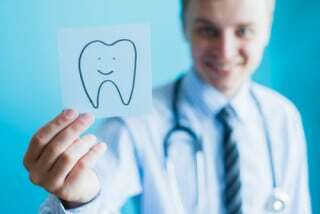 Does Gum Disease Affect More Than My Heart? Periodontal disease wreaks havoc on blood sugar levels, resulting in a significant role in our country’s diabetic crisis. If you have diabetes and your gums bleed, your chances of dying early can increase 400 to 700 percent. Pregnancy complications are an astounding three times more likely for women with gum disease. More than 30,000 Americans are expected to lose their lives to pancreatic cancer this year, and, according to a Harvard study, periodontal disease has been strongly linked to this deadly and fast spreading cancer. That’s just the tip of the iceberg, and just a few of the many reasons we take your check-ups and cleanings so seriously. Besides maintaining regular visits to our dental office in Austin, there are other ways you can decrease your chance of gum disease and the overall health concerns associated with it. Brush your teeth twice a day, everyday, for a minimum of two minutes each time. If you do notice any signs of possible gum disease like bleeding or swollen gums, schedule an appointment as soon as possible. Accepting new patients from Austin, Westlake, and Cedar Park.